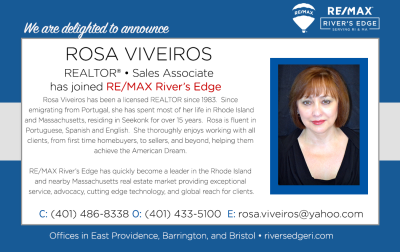 It’s our pleasure to welcome Rosa Viveiros, REALTOR® to RE/MAX River’s Edge! 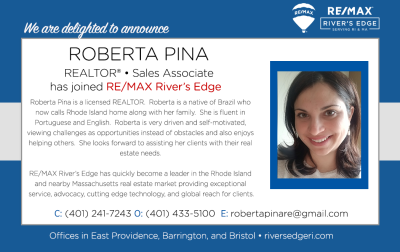 It’s our pleasure to welcome Roberta Pina to RE/MAX River’s Edge! Welcoming Roberta Pina, REALTOR® RE/MAX River’s Edge! 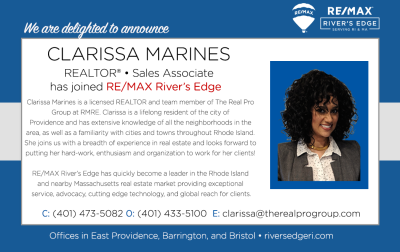 It’s our pleasure to welcome Clarissa Marines, REALTOR® to our outstanding group of REALTORS® at RE/MAX River’s Edge! 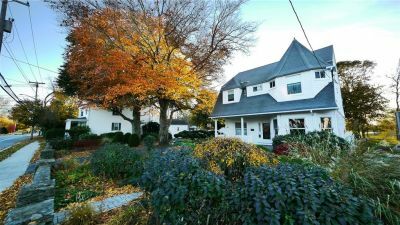 Welcome, Clarissa! 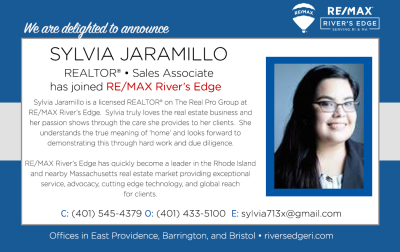 Please join us in welcoming Sylvia Jaramillo to our outstanding group of REALTORS® at RE/MAX River’s Edge!